Beranda » Fashion , Health » What is Kontaklinsen? Kontaklinsen is german language of contact lenses. 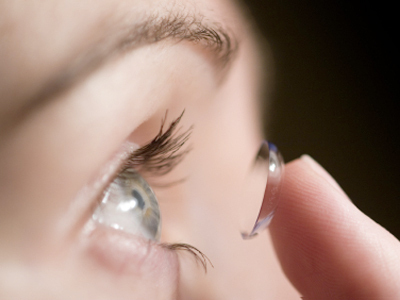 Contact lenses are thin plastic lenses that used to be attached to the cornea of the eye. Contact lenses have the same function as eyeglasses, which correct refractive abnormalities, abnormal accommodation, therapy and cosmetics. Currently soft and RGP contact lenses are more often used for reasons of security and comfort factor. RGP contact lenses are easily passed so that the cornea of oxygen to function properly. On RGP contact lenses, oxygen is not only obtained when the eye blinks, but also from the free air which can be through the lens to reach the cornea. This causes the RGP contact lenses more comfortable to wear for a long time.